The upcoming Samsung Galaxy Note 12.2 has been spotted making its way through another Bluetooth SIG certification, and was even glimpsed in AnTuTu benchmark records. 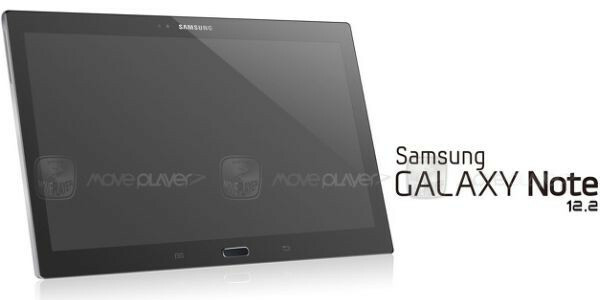 We first got a peek of the expected Galaxy Note 12.2 device back in early September. Back then all we knew was that there was an upcoming 12.2-inch slate from Samsung set to sport an Exynos 5 Octa chipset with a 2560 x 1600 pixel display. Although it was apparently still too early back then for an official announcement at IFA, things have progressed quickly. The Note 12.2's model number now contains a V suffix (as in SM-P905V), which, according to numerous sources, stands for Verizon. If that's anything to go by, then the 12-inch tablet should be available with LTE support as well. The AnTuTu benchmark tells a slightly different story than what was initially assumed about the Galaxy Note 12.2. The SM-P905 device featured in its database sports a Snapdragon 800 CPU rather than an Exynos 5 Octa. 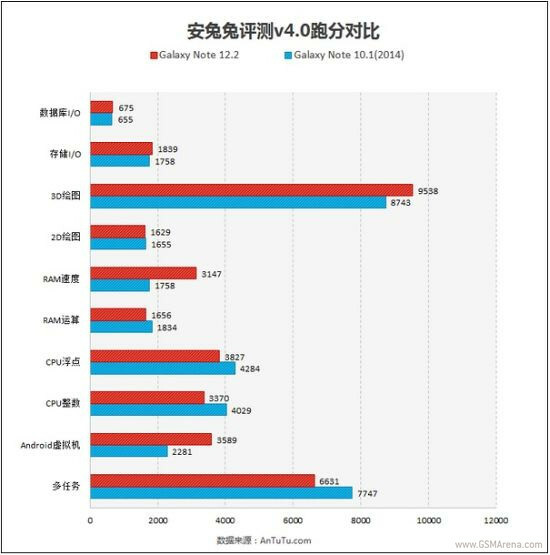 The folks at AnTuTu even compared it to a Galaxy Note 10.1 (2014 Edition), which sports the Exynos 5420 chipset. The Note 12.2 is able to outperform the Note 10.1 when it comes to the Android virtual machine, RAM speed, and 3D graphics, while the 10.1 does better in RAM processing, and CPU integer and floating point operations. Still, the Galaxy Note 12.2 achieves an overall score of 35901, which beats out our own score of 33198 for the Note 10.1 (2014). While the results are higher, they're only to such a degree as the typical generational upgrade that we tend see as chipsets mature. Keep in mind that the aforementioned Verizon variant may run on an entirely different chipset, perhaps even the "true" octa-core variant of Samsung's Exynos 5 chip that will be able to run all 8 of its cores simultaneously.